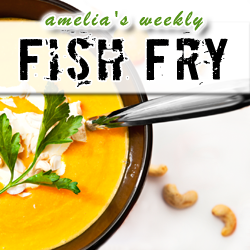 In this week’s Fish Fry, we’re serving up a virtual smorgasbord of EE goodness! First up, it’s a trip to the global supply chain salad bar with Lynn Torrel from Avnet. Lynn and I dig into the biggest trends driving the global supply chain, the challenges of multi-dimensional supply chain security, and which supply chain risks you should take head on. Our next guest is Yantin Trivedi who’s here to spill the beans on this year’s biggest design verification party – DVCon 2015. Finally, we round out our scrumptious EE feast with a look into how we can banish the ugly mixed-signal verification monster once and for all.